The act of caring for others, especially those in need, is a profound gift that the world needs more of. During this holiday season we are asking you to actively share in the spirit of giving by giving to those in need within our community. This year we are focusing our efforts by supporting the Dandelion Society and collecting warm blankets, coats, and other items. The Dandelion Society was founded by Rev. Al Tysick in 2011. Reverend Al has been working with the homeless for 40 years and was one of the primary founders of “Our Place”. 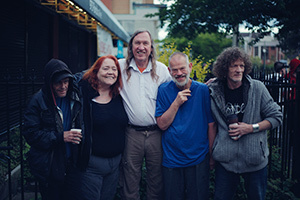 The society’s mission is to connect with and support the most vulnerable populations in Victoria’s street community who are often unable to access basic social care services.